Atech Let’s play with the trains! This app for iPhone, iPad touch or iPad is a great free beginner app. 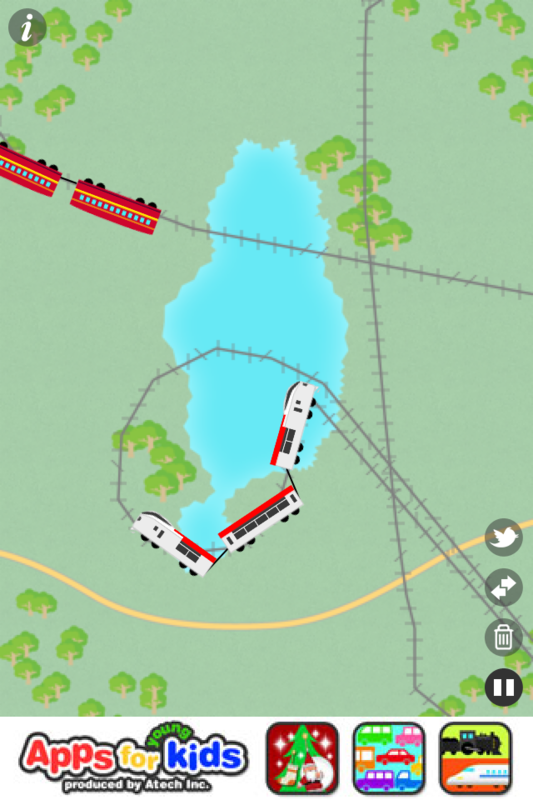 It has a simple cause and effect interface that no matter where a child touches or draws a train track will appear. once a line or squiggle is drawn, it is soon followed by a variety of trains with really cool train sounds. Something I like about this app is that it doesn’t have too many options so when using it for a reinforcement activity the kids can take a quick turn without obsessing over specific features. e by little fingers. I would suggest purchasing the app to remove the In App Ads or to turn on airplane mode, so that little fingers don’t access the appstore or twitter. Overall this is a great app, and a lot of fun for kids 2-6 yrs of age.